Inanna House is built on community. We are a grass roots movement, starting from scratch. We welcome you and thank you for your time and effort to make our vision of an oasis for Lyme patients a reality. We are focused on the following tasks at the moment, but keep checking back as this list is sure to change. Contact us HERE if you would like to help! A thorough presentation to show to foundations and investors, complete with power point and videos. We would like to create a video that will explain our vision, mission, treatments, and amenities, as well as inform and raise Lyme disease awareness. Visuals make an impact! Create content for our website, Facebook, and other social media sites. Designs for T-shirts, posters, pictures, and blogs are needed as well. As our message gets louder and more people know about Inanna House, our administration needs grow. We need personnel to help with content and contacts. Someone who will help expand our contacts, organize and get the story out. Someone who can get our story on TV, Radio, Newspaper and Magazine. There is also an opportunity to create your own Inanna House fundraiser. We can help with promotional materials, or speak at any events planned. Do you frequent a certain business, or does your local grocery store have a donation day? There are many ways to fundraise, some easier than you may think. Click HERE for some great ideas! It is important to get the word out about Chronic Lyme disease, its co-infections, and Inanna House. Do you have a special skill that would contribute and help us reach any of these goals? 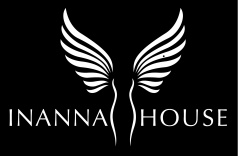 We are open to ideas, so please feel free to let us know how YOU think you could help Inanna House! Contact us HERE.